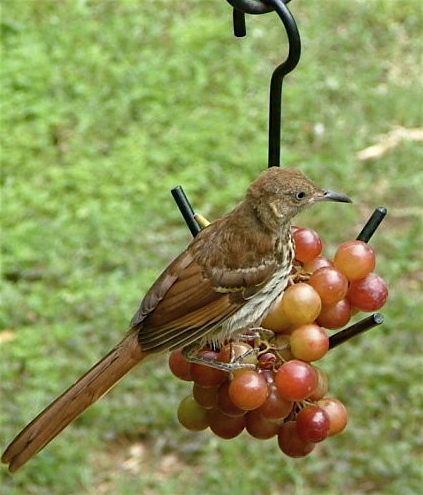 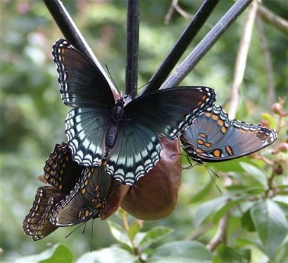 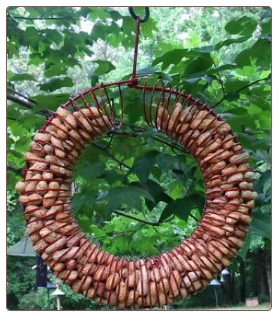 do fruit in wild bird feeders for summer season! 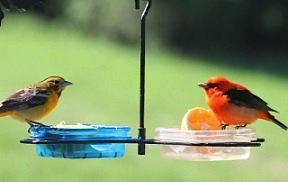 Adding a new dimension to feeding wild birds, fresh fruit offers great variety for many species, there’s just so much more than plain old birdseed. 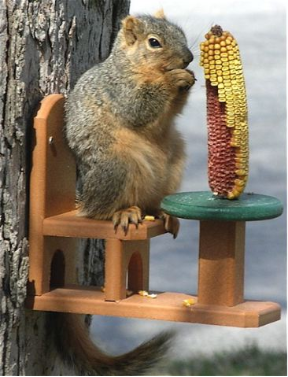 Staked, platform and open dish feeders accommodate many types of foods – allowing you to change things up with seasons. 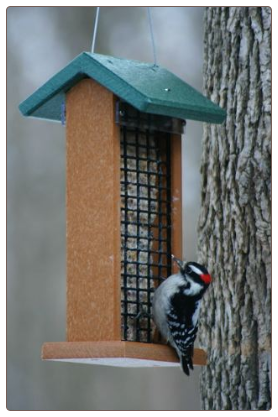 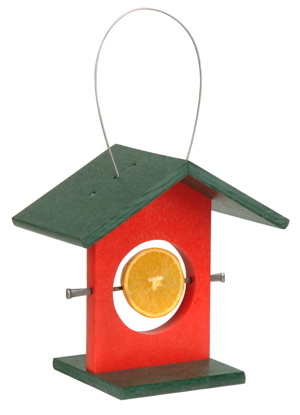 Got a suet feeder? 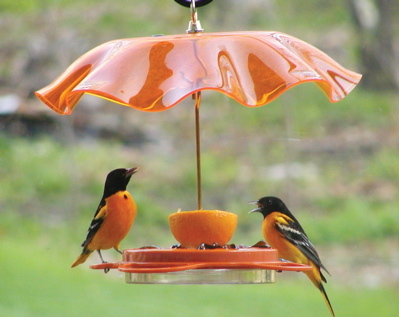 Simply try orange slices for orioles, woodpeckers, cat birds and others. 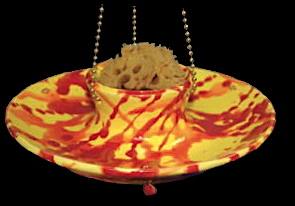 Some staked and dish feeders are far from boring, fun designs to add a splash of color, or even bring a smile to say any cat enthusiast! 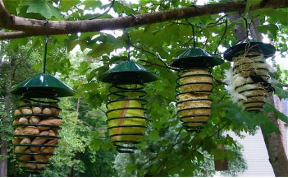 With these wild bird feeders, suet is perfect for winter feeding too, and there’s lots of recipes online (and on our site) to make your own. 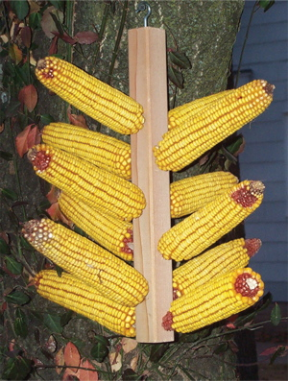 Large formed balls work best on the pin, and by mixing a big batch, it’ can be stored in the freezer for ease of use. 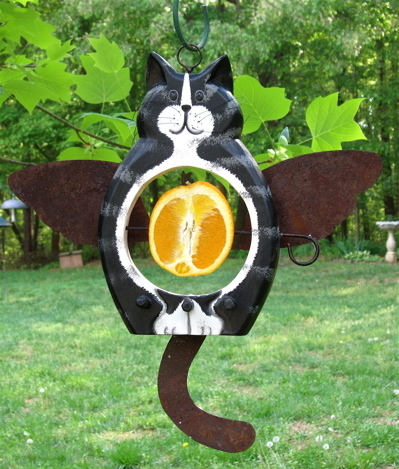 Because variety is the spice of life, mix it up for your feathered friend this summer! 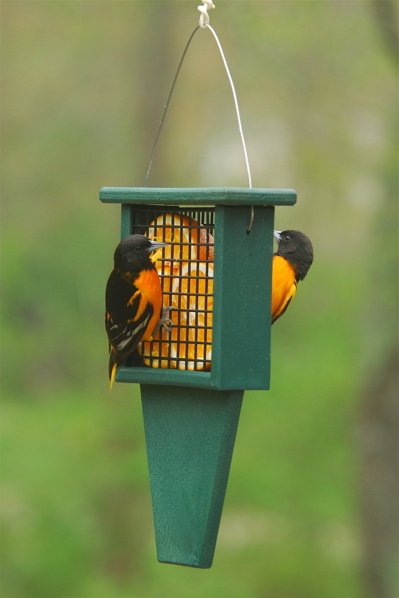 You never know who may stop by, and after all, you can always revert to boring birdseed in your feeders!